On Sunday 6/24, Car 2083 assisted Croton Police with an investigation in the Hudson River at Half Moon Bay. The matter was turned over to CPD and no additional FD assistance was needed. 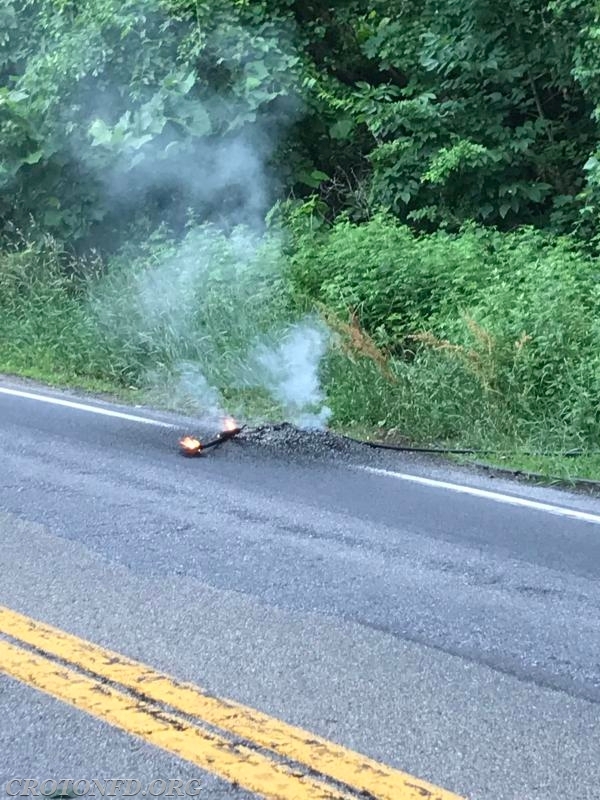 On Monday 6/25, units investigated a Fire Alarm condition at the Holy Name of Mary Parochial School on Grand Street, which was activated by accident. Car 2082, Car 2083, Engine 118, Engine 119 and Rescue 18 handled the run. 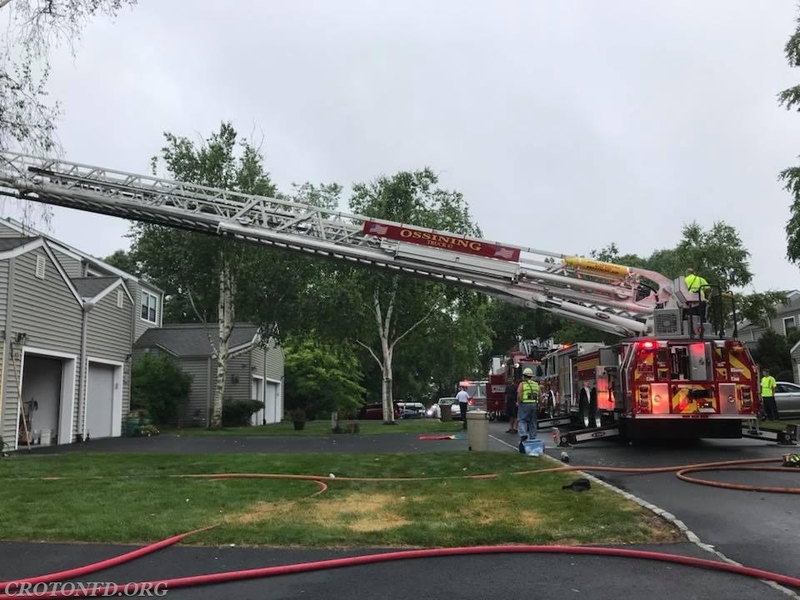 Later, around 8PM, a Full Assignment was dispatched with EMS to a mutli-family dwelling on Harrison Street for an unknown odor with occupants possible feeling ill. No hazard was found after a throrough investigation and all occupants declined medical attention. Car 2081, Car 2082, E118, E119, E120, T10, R18, U14 were on scene. On Tuesday the 26th, multiple calls for odors of gas inside and outside of homes and businesses in Harmon and Half Moon Bay began to pour in. After an extensive investigation, the source was traced to maintenance work being performed in the Metro-North Croton-Harmon Yards Septic System. A half dozen locations were checked for any hazardous gas buildup with no issues found. Car 2082, Engine 118, Engine 119, Tanker 10 & Utility 14 handled these investigations throughout the afternoon. On Tuesday evening, a Hudson River Rescue Box was dispatched for the report of an overturned vessel with a person clinging to it off of Croton Point Park. A Sea-Tow boat was first to arrive and helped the subject out of the water. The incident was then turned over to Westchester County Police Marine Unit. Car 2081, Car 2082, Car 2083, Rescue 18, Utility 14, Marine 12 and Marine 32 handled this run, along with Croton EMS, Ossining EMS/Police and Verplanck FD. 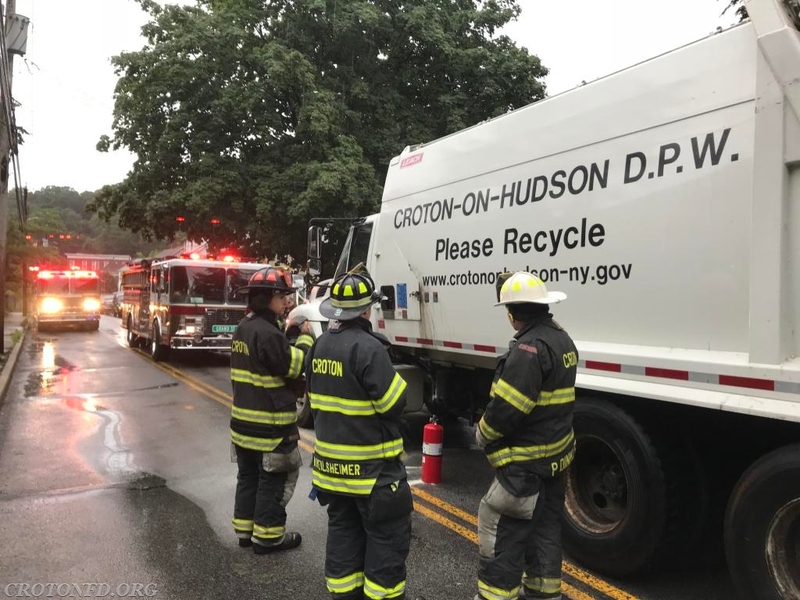 On Wednesday the 27th, units were dispatched to the Croton Muncipal Building on Van Wyck Street for - you guessed it - the outside odor of gas. 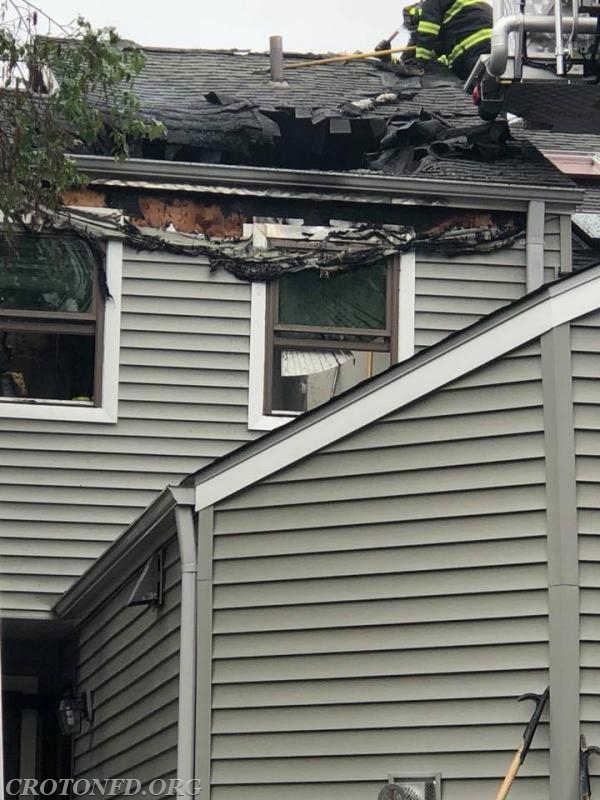 Due to the high humidity plaguing our area, the source was traced to the ongoing work discovered the day before in the Metro-North Croton-Harmon Yards. An additional four calls for concern were investigated in various locations in the village, none of which presented any actual hazards. Car 2082, Car 2083, Engine 118 & Engine 119 handled this round of investigations. Thursday the 28th began with the reported garbage truck fire at Grand and Maple Streets at 8AM. Units arrived to find an electrical fire between the cab and body of the Croton DPW truck. 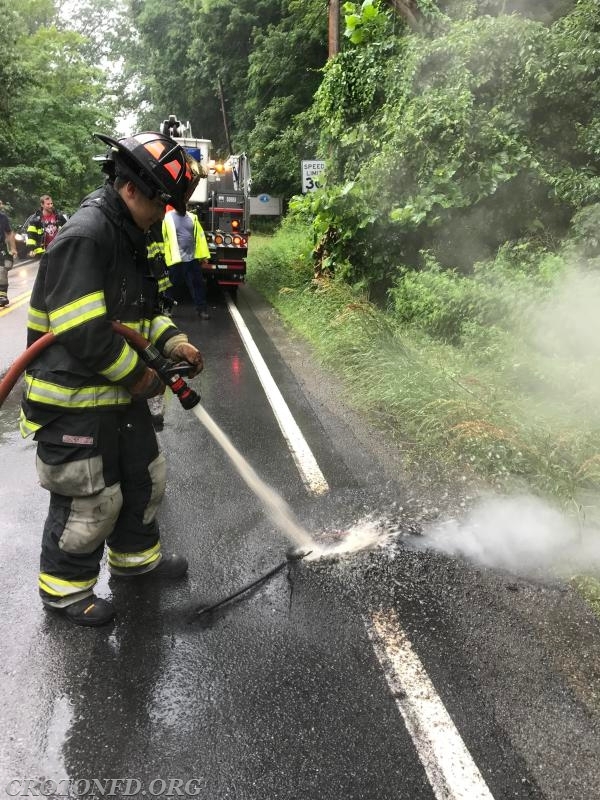 DPW Mechanics arrived and disconnected the battery bank, and CFD personnel extinguished the minor fire. 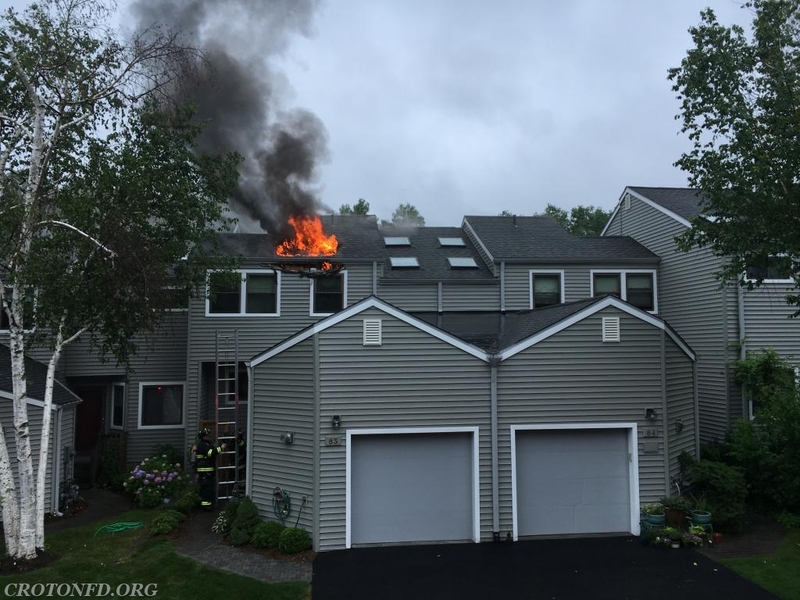 While picking up from this incident, our FASTeam was dispatched Mutual Aid to a house fire in the Town of Ossining. 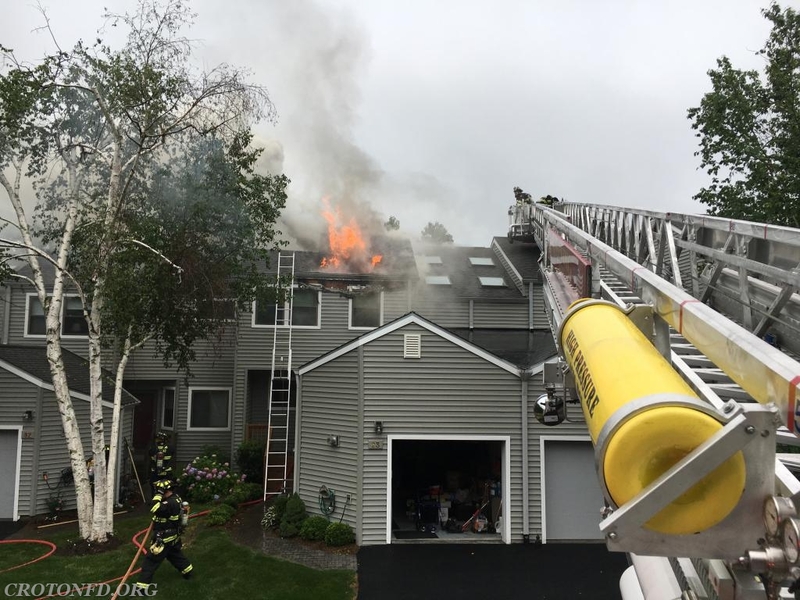 Upon our arrival at that scene, OFD's Bravest had the fire pretty much knocked down, and our units were released from the scene a short time later. 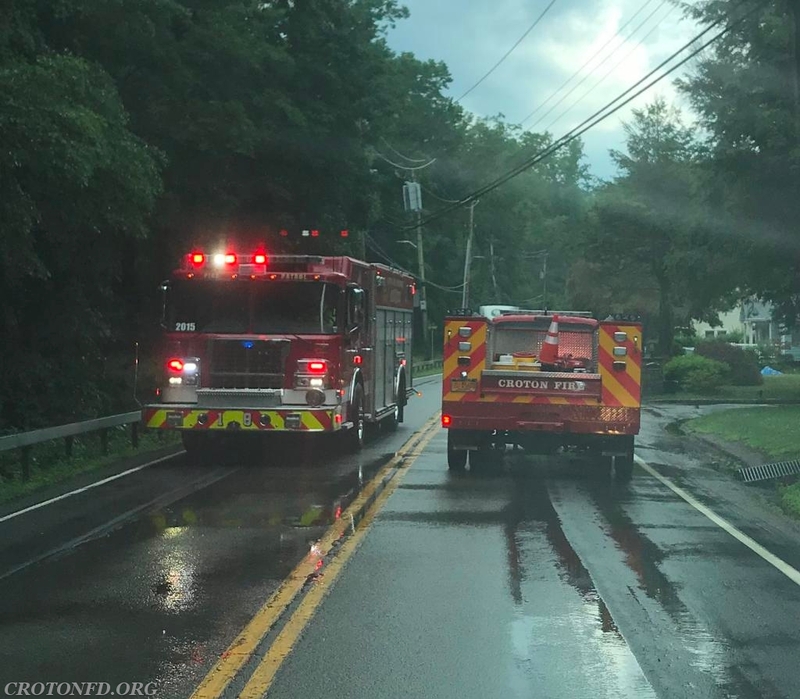 Stormy/rainy weather caused two electrical wire-related fires on Croton Avenue, followed by a tree that fell, taking down wires and causing a fire in the roadway at the Village/Town of Cortlandt Line on Route 129 in the afternoon. Car 2082, Car 2083, E118 & T10 handled the truck fire. Cars 2082, 2083 and E119 handled the FASTeam call. 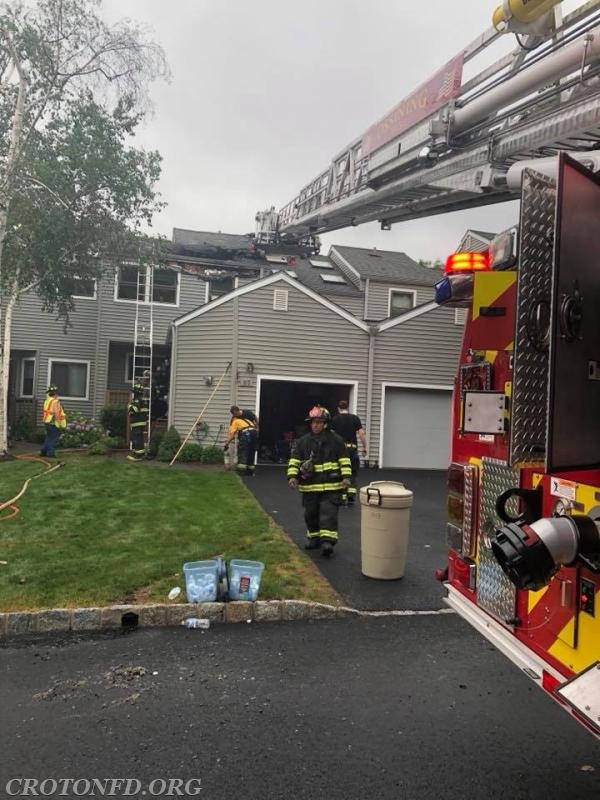 Car 2083, E118, U14 took in the first Croton Avenue call, Car 2082, Car 2083, Engine 118, Rescue 18 & Utility 14 then handled the last two incidents. Rounding out the busy week was a Carbon Monoxide alarm investigation on Terrace Place on Saturday morning. The detector activated in error, and this run was handled by Car 2081, Engine 119 and Rescue 18.